The Onstage RS6000 Foldable Tilt-Back Amp Stand is a collapsible floor stand that mounts medium and large instrument amplifiers, tilting them upward and in a position that's optimum for monitoring and recording applications. 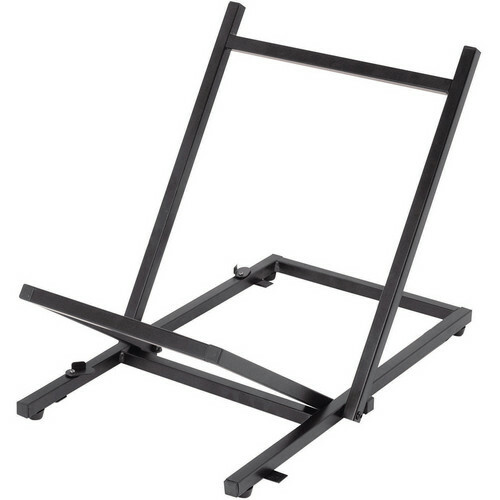 The stand is easily folded for transport and storage, and features a steel construction with a black powder coat finish. Box Dimensions (LxWxH) 31.0 x 15.0 x 1.8"